The Super Bowl is the championship game of the National Football League in the United States and is known for its high-profile advertisements that are aired during its television broadcast - that are believed to reach more than 90 million viewers and are very costly. 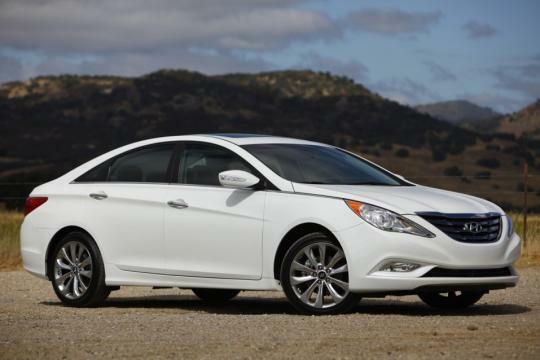 Hyundai has come up with six commercials for the Super Bowl and one of them features the Sonata 2.0 Turbo sedan. The commercial, by the name of �Stuck�, illustrates the overtaking taking and I presume, handling abilities of the Sonata. It shows a couple in the Sonata coming up behind some �unpleasant� vehicles on the road, such as a truck ferrying two horses, a fat biker and a tanker with leaking corrosive waste. Naturally, the Sonata Turbo overtook them with ease. 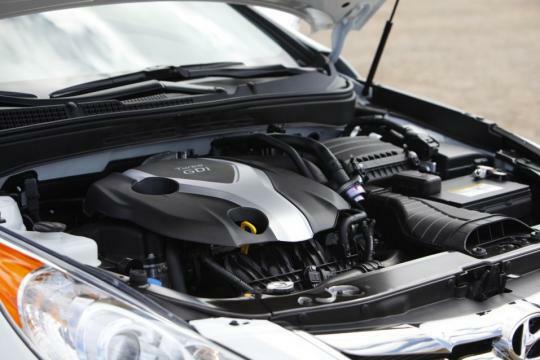 The Hyundai Sonata Turbo is propelled by a 2.0-litre turbocharged GDI engine that churns out 274bhp with 265Nm of torque. The engine is mated to a six-speed Shiftronic automatic and it accelerates the 1514 kg saloon from 0 to 100km/h in 7.9 seconds. The Sonata�s twin sibling, the Kia Optima 2.0T SX, already has a right-hand-drive version. 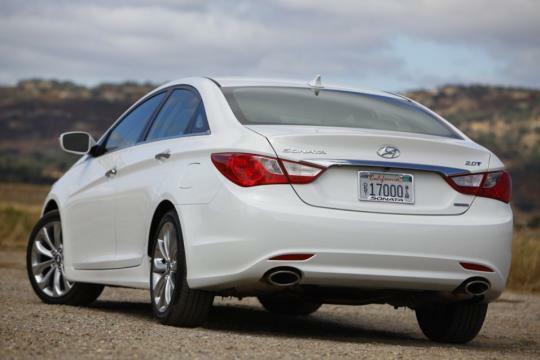 At the moment, the Sonata Turbo is only available in left-hand-drive configuration. Teksi Gong See, quick!!!! Quick go and buy more of these turbo deisel!!! Love the ad and the way the Sonata swerves out of its lane to overtake.